The aligned to the southeast to west-northwest vineyards in 220 to 370 meters above sea level with 15 to 80% slope cover 33.5 hectares of vineyards. The floors are made of weathered granite and are interspersed with porphyry, gneiss and loess. The famous old one wonKlingelbergstrasse with 2.5 hectares of vineyards is the sole possession of the winery Margrave of Baden Castle Staufenberg. It was in the course of Land Consolidation not identified as a single location in 1971 due to its small size. However, a request in this regard was made and it is expected soon a positive decision (as of March 2009). Here the varieties Riesling (Klingelberger), Pinot Noir, Pinot Gris, Pinot Blanc, Traminer, Müller-Thurgau, Chardonnay and Sauvignon Blanc are cultivated. Shares in the situation have for example the two wineries Gräflich Wolff Metternich'sches winery and Margrave of Baden (Weingut Schloss Staufenberg). The name was only at the Land Consolidation created in 1971. 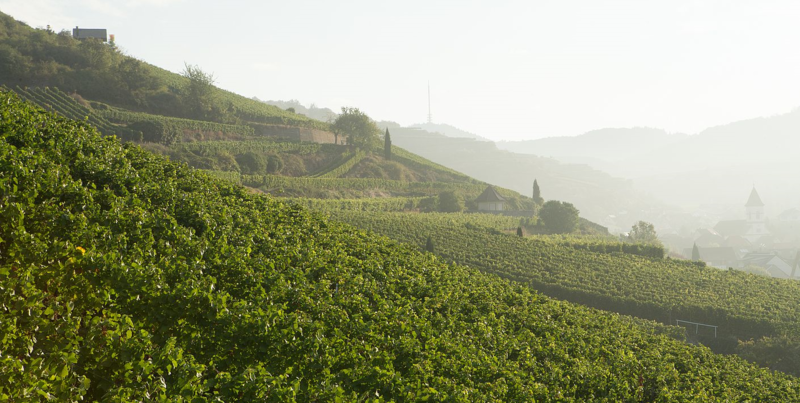 The south-facing vineyard in 80 to 115 meters above sea level with up to 12% slope covers six hectares of vineyards. The location starts above the winery Castle Reinhartshausen, in whose sole possession it is located, and moves westward towards Hattenheim, where they adapt to the situation Marcobrunn borders. It is protected by trees on the Rhine side. The deep loess clay soils have a good Water storage capacity, Here is the Riesling cultured. The oriented south to southwest vineyard in 180 to 220 meters above sea level with 40 to 60% slope covers nearly three hectares of vines on porphyry weathered soil. Here only the Riesling is cultivated. 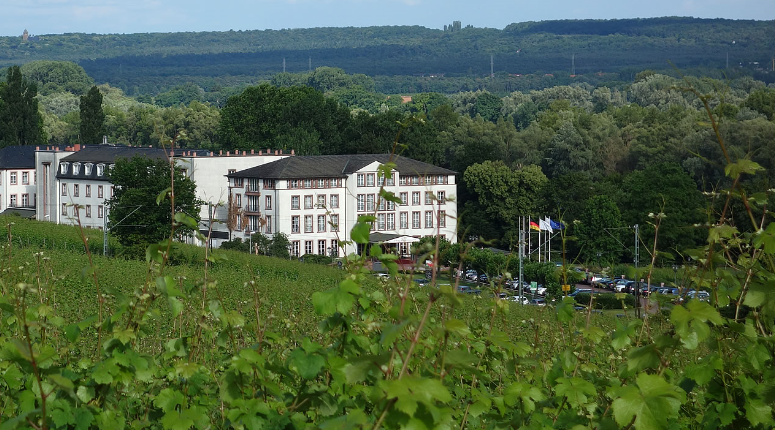 The location borders on the best plots of the location Mauerberg, It rises in terraces immediately behind the Castle Neuweier with the winery of the same name in whose sole possession it is. 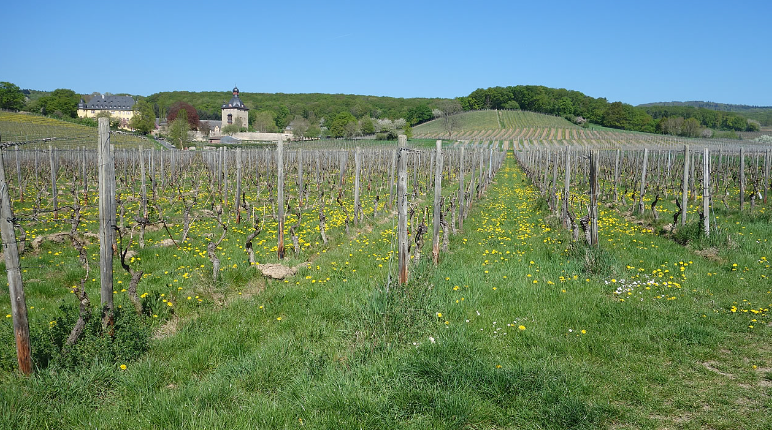 The west to southeast aligned vineyard below the castle with 10 to 65% slope covers nearly nine hectares of vineyards on shallow, sandy granite weathering soil. The location is almost entirely owned by the winery Castle Ortenberg, Small parcels are owned by a few cooperative wineries and the winery Jasmin Kiefer. Schloss Vollrads is a district of the municipality angle. But that also means the sole ownership of the winery of the same name Schloss Vollrads individual days. In this is the won Schlossberg. Both Schloss Vollrads and Schlossberg may be used as a single layer designation on the label appear. This page was last modified at 26 October 2018 at 08:41.